Is it time to buy new tires for your car? How do you know if you need new tires and where can you find the best deal for tires? How do you know you are actually getting a good deal for tires and what should you look for when you do buy tires. Most people just go back to the dealer or to one of the big name stores to purchase their tires. They might watch for a tire sale to take place, but often they suddenly realize that their tires are in bad shape and they have to get tires right away. So without shopping around off they go to the closest tire store and spend upwards of $500 to a $1000 on a set of four new tires, with balancing and installation included. When you compare all of these items from several tire stores you visit for new tires, you will quickly begin to realize that there can be a significant difference in the cost of tires. Take for example tire rotation. 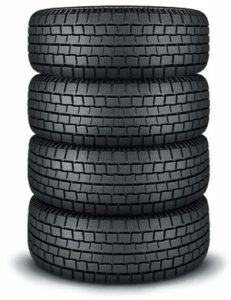 Most manufacturers suggest that tires should be rotated every 10 to 12 thousand miles. A tire store will charge as much as $20 per tire or $80 to do this work and they may or may not include topping up with air and re-balancing at the same time. A deal that includes this feature will save you at least $160 a year if you drive 20,000 miles a year which is not uncommon for most people today. Tire warranties can also make a huge difference in the cost as well. If you travel a lot and deal with a dealer that has only one location, chances are that when your tire goes bad you are going to be a long way away from this dealer. Dealing with a national tire dealer makes a lot more sense and increases the chances that you can take advantage of the warranty wherever you are. Hope this short post helps readers in making decisions about tire sales.